I’ll be speaking at the Philadelphia PowerShell User Group on May 1st at 5pm CST and I’ll be talking about ‘Managing WSUS with PowerShell’. I won’t actually be there and will instead be presenting via Lync. Regardless, it will be a great time! Be sure to sign up at the link below to register to attend the meeting. 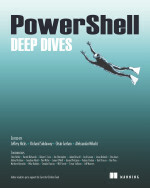 This entry was posted in powershell and tagged Philly, Powershell, Speaker, user group, wsus. Bookmark the permalink.